There's still time to participate in Color Challenge 64! Remember, you don't have to have the EXACT colors to play - just use colors inspired by the ones you see below. I love this idea for incorporating the challenge colors into a look by creating a plaid pattern with them! 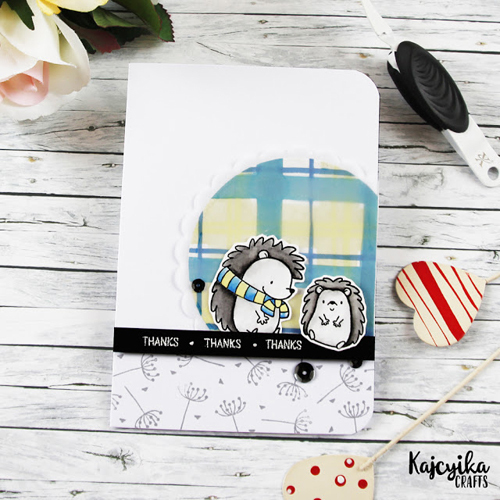 Kaja's sweet look features Happy Hedgehogs and the thanks sentiment from Warm & Fuzzy Friends. 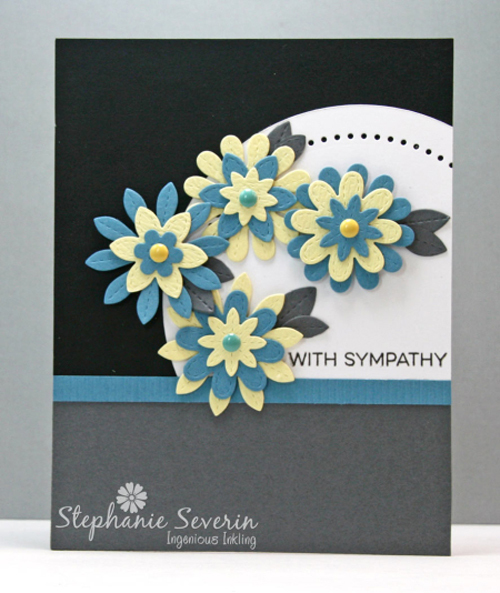 Stephanie used the Stitched Flowers Die-namics to incorporate the colors into her card. I'm so inspired by how she mixed and layered the colors! This subdued color palette is a great choice for a more somber occasion so her choice of adding a sympathy sentiment is perfect. Be sure to give Color Challenge 64 a go yourself - there's still plenty of time to play along and we always love to see all of the ways you're inspired by the challenge! I was just checking my mail and saw my card. I was like: yaay. :D Thank you!